King Harald V of Norway paid a state visit to China from October 11 to October 20 at the invitation of the Chinese President Xi Jinping. At 10:30AM October 16 2018, the Norway-China Business Summit themed “Pioneering Sustainable Solutions” was held in China World Summit Wing Hotel in Beijing. It was an important part of the visiting King Harald V of Norway and Queen Sonja’s itineraries. Yi Fang Group was invited to the summit. The signing ceremony started at 11 o’clock. Mr. Liu Jian, CEO of Yi Fang Group, signed a cooperation agreement with Mr. Lars Dahle, CEO of Dignio. The ceremony was witnessed by King Harald V of Norway, Queen Sonja, and Gu Shengzu, Vice Chairman of China’s top advisory body, as well as other government officials. This agreement is the only one signed regarding cooperation in health care sector at the summit. Two parties will jointly establish a Nordic Health Center in Beijing and engage in cooperation in smart health care, smart elderly care and health related research. 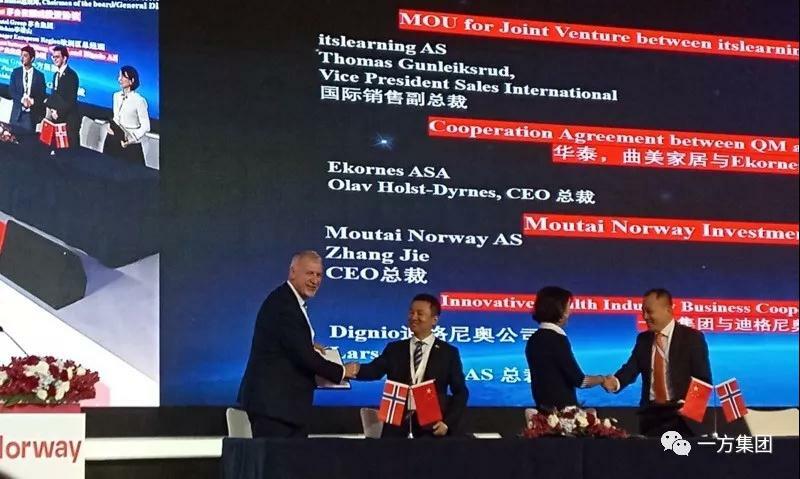 In addition to the agreement between Dignio and Yi Fang, other cooperation agreements were signed between Avinor Oslo Airport and Hainan Airlines, Kongsberg Gruppen ASA and Alibaba, DNV GL and BYD Smart Ecosystem Institute etc. 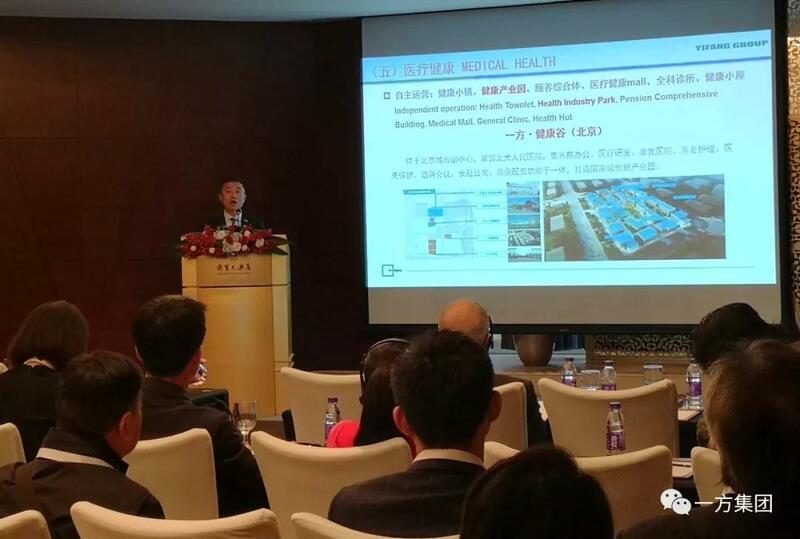 In the afternoon, Mr. Liu Jian gave a speech named “the Outlooks of Yi Fang Health Valley” at the Norway-China Medical Technology Solution Cooperation Seminar. Mr. Liu introduced the development plans for Yi Fang Health Valley, and welcomed Norwegian companies to cooperate with its Nordic Health Center in the valley so as to enter the Chinese market. Previously, a Norwegian business delegation including representatives from its leading health care company Dignio, LHL, BI Norwegian Business School, University of Oslo and other Norwegian firms visited Yi Fang Group on October 15. Both parties agreed to engage in extensive cooperation in the “Internet+Health Care”sector. 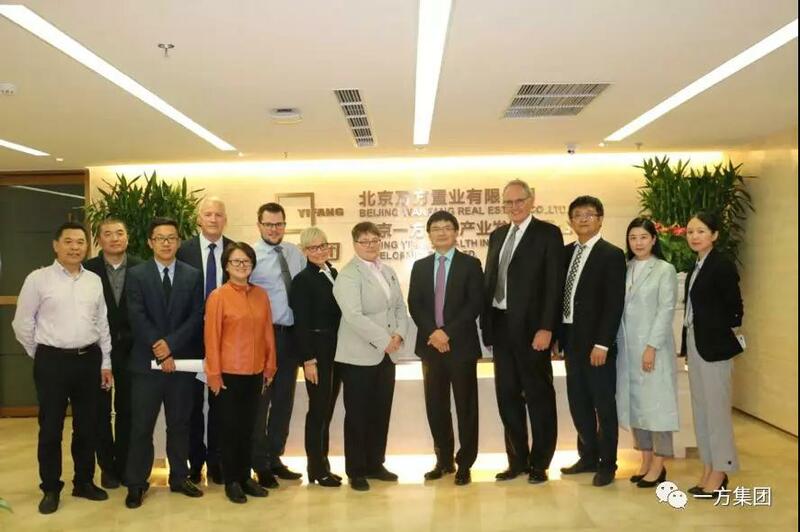 The Nordic Health Center located in the Yi Fang Health Valley will gradually introduce Norwegian health care technologies to deepen the cooperation of two countries in big health!